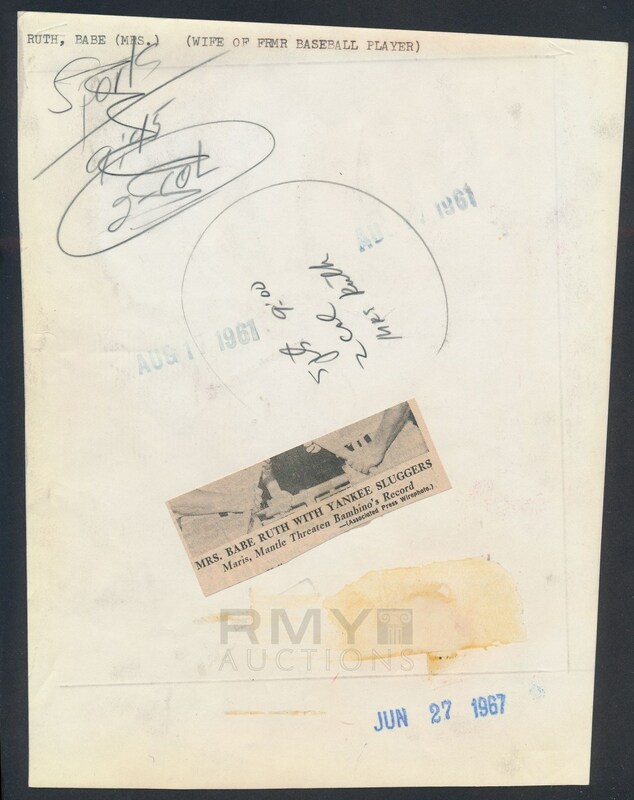 Lot # 58: 1961 Mickey Mantle and Roger Maris, "M&M Boys Pose with Mrs. Babe Ruth During Epic Home Run Chase"
1961 Photograph of Mickey Mantle and Roger Maris as they pose late in the season with Mrs. Babe Ruth. 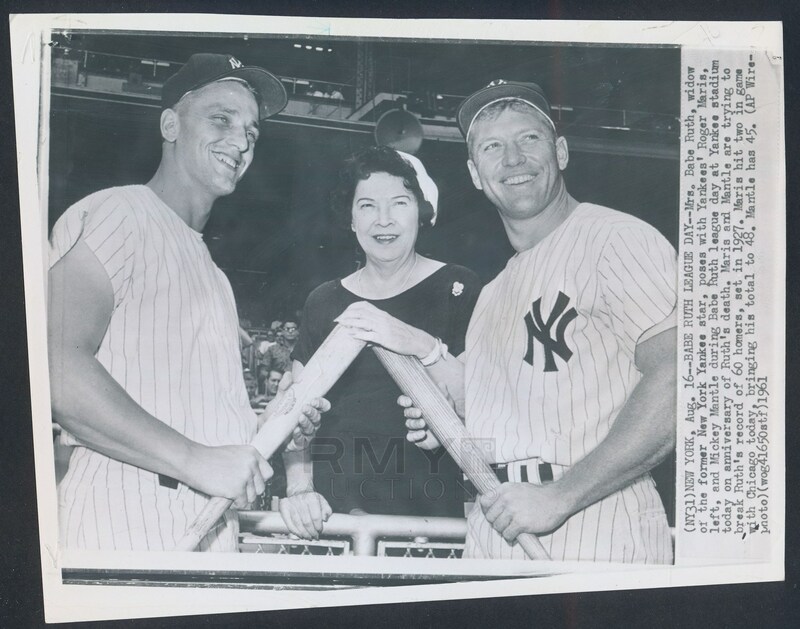 At the time the image was taken, both men were chasing Ruth's record of 60 Home Runs with Mantle netting 45 and Maris 48. It is common knowledge that Claire Ruth was rooting for both to fail, but for a moment she was a good sport and posed with a smile on her face. An exceptional image in nice overall condition.